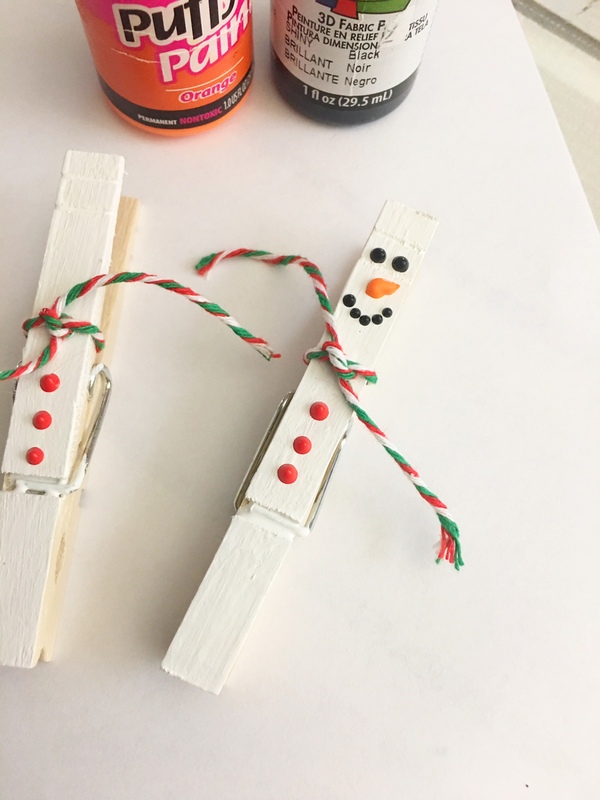 This simple snowman clothespin craft is a fun way to add a touch or two of winter fun without having to decorate the whole house. 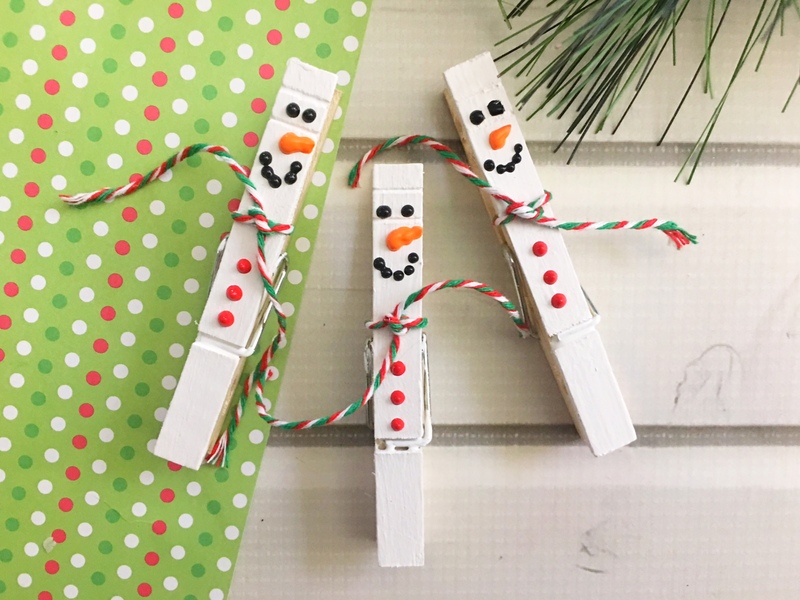 With winter break coming up, this is a fun craft to do with the kids. I love to add little touches around the house during the winter. Especially living down here in Florida now. It wasn’t exactly like I had a lot of snow in Georgia, but the only white-ish powder now is the sand on the beaches. I love having small touches of winter around the house. 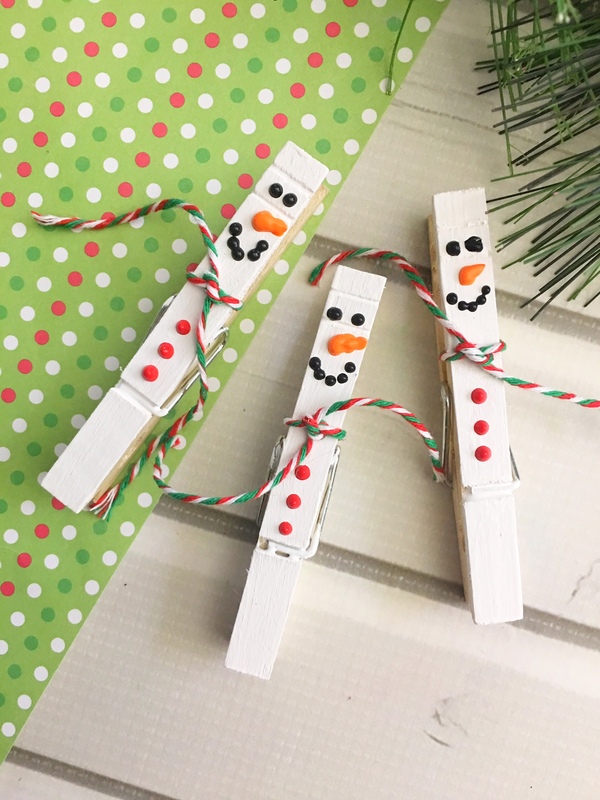 These small snowman clothespins are the perfect simple snowman craft. The snowman are cute to use to hang up some of T’s artwork or even to hold back the curtains. I love to see the look on people’s faces once they spot the little snowman peeking out. As a bonus, T and I can make this simple snowman craft together and she can get in on the winter fun. 1. Lay out a couple pieces of scrap paper or newspaper before you get started. 2. 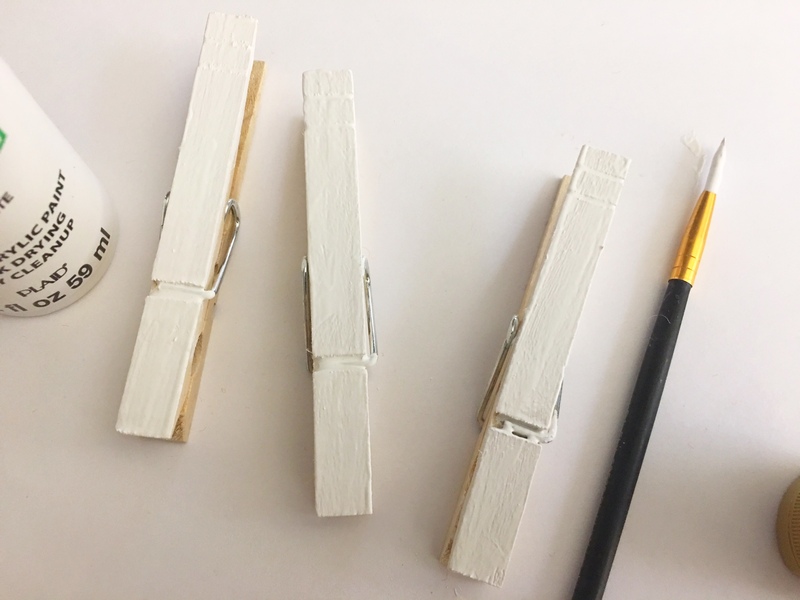 Paint the front of your clothespins white and let dry. 3. 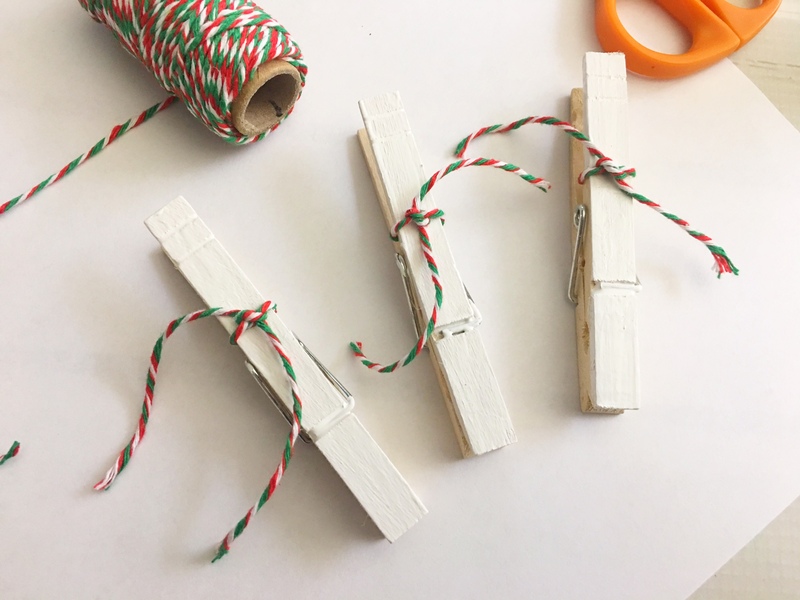 Cut a 6″ inch or so piece of twine and tie it to the top front piece of the clothespin to look like s scarf and carefully secure with glue. 4. 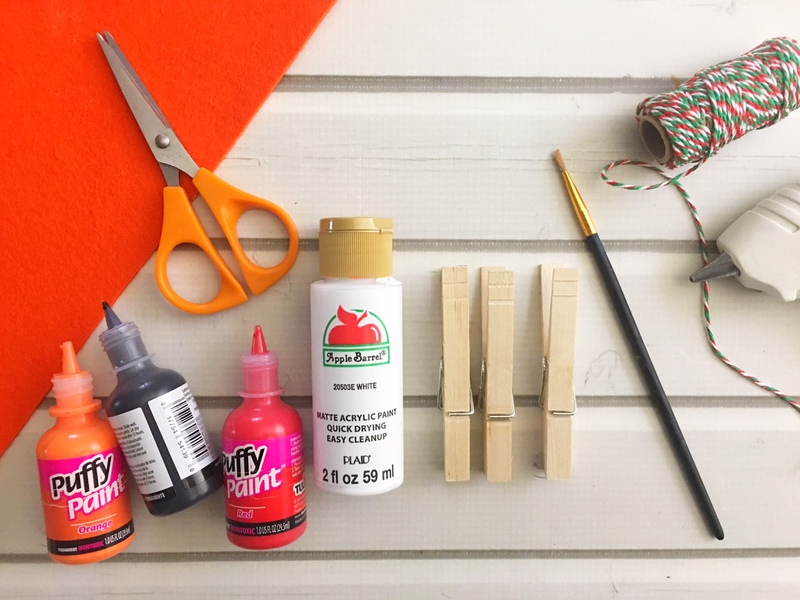 Use your red puffy paint to draw 3 dots vertically below the scarf. 5. Now use your orange puffy paint to draw a carrot shaped nose on the top center above the scarf. 6. Use your black puffy paint to draw two dots for eyes above the carrot nose and about five dots below the carrot nose for a smile. 7. Let your snowmen dry overnight. I love this craft idea. It’s nice they are so simple to do, my grandsons would enjoy making these. These are adorable!! They look pretty simple to make! This is a great idea! 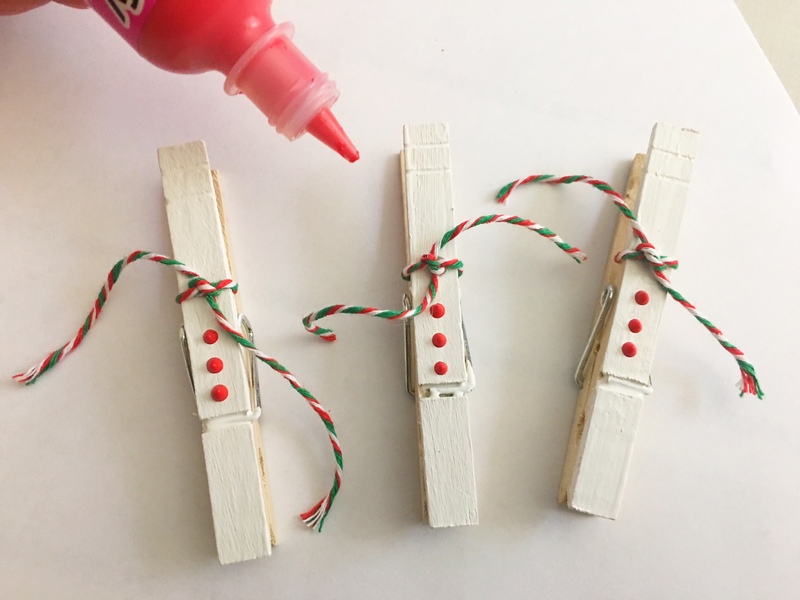 If you add additional clothespins and string, you can even turn this into a holiday card holder.